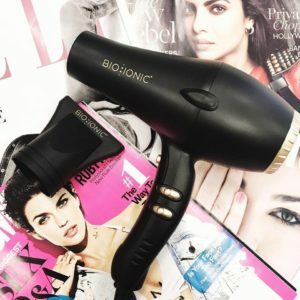 L’ANZA and BIO IONIC GIVEAWAY! 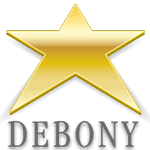 We love to keep things fresh and fun, here at Debony Salon! Every month we want you to be surprised by the new and exciting events, products, services and knowledge we have too offer you! Which is why we’re so excited to partner with L’ANZA and Bio Ionic tools to offer one of our best give-aways yet! When you purchase ANY of the Keratin Healing Oil products, here at Debony Salon, you will be entered to win a gift basket of the complete Keratin Oil line AND a Bio Ionic GoldPro hair dryer! f ours and works in any hair type. It makes a significant difference for those working with dry or chemically altered hair. For those seeking moisture for sleek, smooth ends and healthy roots, the array of products hydrates and protects hair without weighing it down. This line is also gold for the “end of summer hair” that has seen the pool, beaches, and an abundance of sun! The line includes a Keratin Healing Oil, Combing Cream, Silken Shampoo and Conditioner, Cleansing Cream, Cream Gel, Finishing Spray, Brush Through Hair Spray and Intensive Hair Masque. These products focus on fortifying your hair with Keratin protein to restore volume and health and work wonders in restoring hair’s natural integrity. This GoldPro Dryer is infused with 24K Gold which insures constant conditioned heat. The Ceramic Mineral Complex within the barrel breaks down water molecules and helps penetrate moisture deep into the hair leaving it smooth and conditioned. To win, all it takes is one purchase of your favorite Keratin Healing Oil product. Even better, is that for each product you purchase, your name will be entered to win. So if you buy one product, your name is entered once. If you buy four products, your name is entered four times!